Workshop: "Application of Machine-Learning Interatomic Potentials in Materials Design"
Attend MLSS and obtain ECTS credits! In May 2017, Skoltech announced the launch of its eSports Academy. 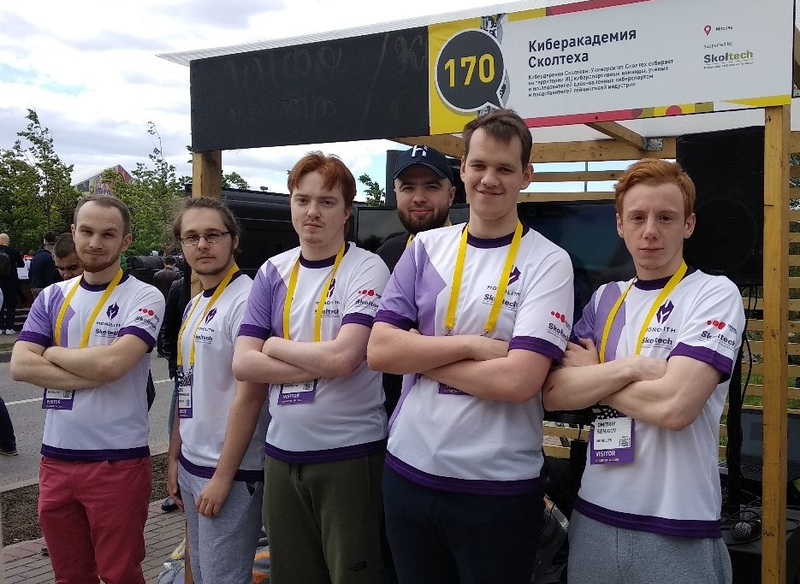 Just over a year later, the initiative has taken on a life of its own – it has signed up a full roster for its professional team Monolith, moved into a Skolkovo-based residential village for Russian eSports teams, and even developed a research initiative that will convert the player experience into an array of useful scientific data. We’ve caught up with some of the founders of the Skoltech eSports Academy, and some of the players they’ve brought into its fold, to learn more about all the progress that has taken place over the past year. On the Skoltech side, the Academy is headed by the Computational Data-Intensive Science and Engineering (CDISE), along with Skolkovo Endowment Foundation Director Ivan Khlebnikov and Industrial Cooperation Advisor Dmitry Yumashev. 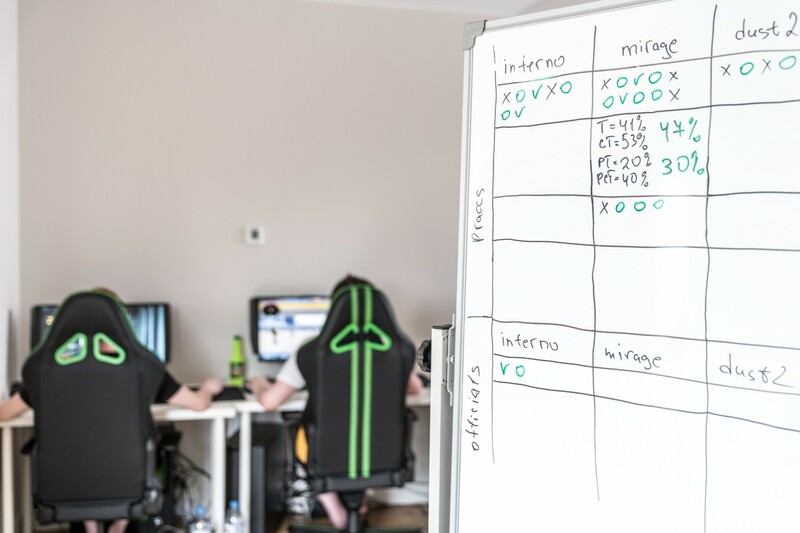 To build the Academy, they joined forces with London-based eSports training firm Game Enders to provide the team and build the Academy. New York-based consulting firm Power Play also plays a major role in advising Game Enders and helping it lay the groundwork for the academy. The organizers have busied themselves in recent months with gathering a team of world-class players and a coach to bring out the best in each of them. 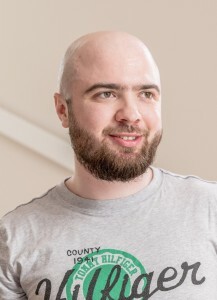 Rustam Tsagolov, Monolith’s team coach. Photo: Skoltech. Enter Rustam Tsagolov. Upon graduating from Bauman Moscow State Technical University, Tsagolov took a job as a junior coach with Gambit, which is perhaps Russia’s most famous eSports team. He spent a year and a half training the team as a junior coach while they prepared for matches in Russia and abroad, and then decided it was time to pursue loftier professional endeavors – namely, a head coaching position. Tsagolov was a seasoned player with a stellar academic record, top-flight coaching experience, and the looks of a fighter – all factors that the organizers explained made him an attractive choice as a coach. “He has a relevant academic background from Bauman – we chose him for his degree and his connection with eSports, which made him an excellent trainer for an academic team,” said Yumashev. Game Enders CEO Igal Zak agreed, noting that Tsagolov’s academic prowess was critical in light of the group’s goal of creating a gaming research powerhouse. “And it didn’t hurt that he looks like a boxer. We knew that would help keep the players in line,” Zak joked. Tsagolov promptly set about scouting players with the potential to rise to the top of the growing international eSports scene. 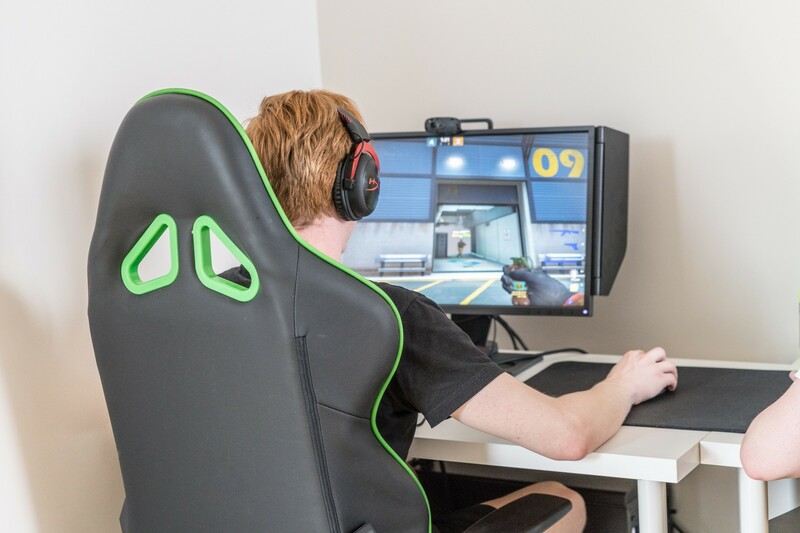 He found a group of five guys in their early- to mid-twenties who had a strong, if under-resourced, gaming track record together, and who were eager to embrace the fulltime professional gaming lifestyle. The team, pictured at the Skolkovo Startup Village. Photo: Game Enders. Center. So far, eSports teams only inhabit two cottages; at present, Monolith lives next door to Gambit, Tsagolov’s old team. But the organizers plan to expand in the coming months. Under Tsagolov’s watch, the members of Monolith adhere to a rigid schedule. Five days a week, they begin work at 11am sharp – a time that one team member stated, without a hint of irony, is far too early for your typical gamer. They spend a portion of the day honing their individual skills before switching gears for remote practice competitions against teams from around the world, after which they focus on developing new tactics and methods. All the while, Tsagolov tracks their progress with meticulously detailed tables and graphs that festoon the main gaming room. 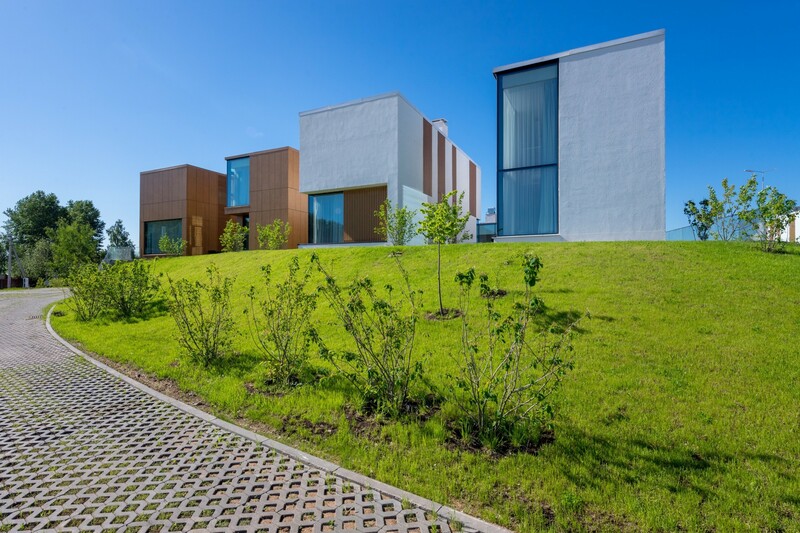 The newly established Gaming Village is located in Skolkovo-based cottages. Photo: Vitaly Shustikov // sk.ru. The members of Monolith may have had plenty of gaming experience, but moving into the Gaming House presented a whole new set of challenges. “Of course some tensions arise, but I’ve known these guys for quite a long time, so we’ve found ways to deal with it. And unlike some of the other guys, who came here from different cities, my home is a 20-minute drive from here, so I can always spend a couple of days there if I need to get a rest from these creeps,” team member Alexey Polivanov explained with a laugh. That said, a great deal has changed since the team embraced the relatively rigid structure of life at the Academy. The team’s logo. Image: Game Enders. “Our results have really improved since we arrived here. Before that, our results were quite shaky. They weren’t really stable. But here in the Gaming House, we’ve really started to work together more effectively,” he said. 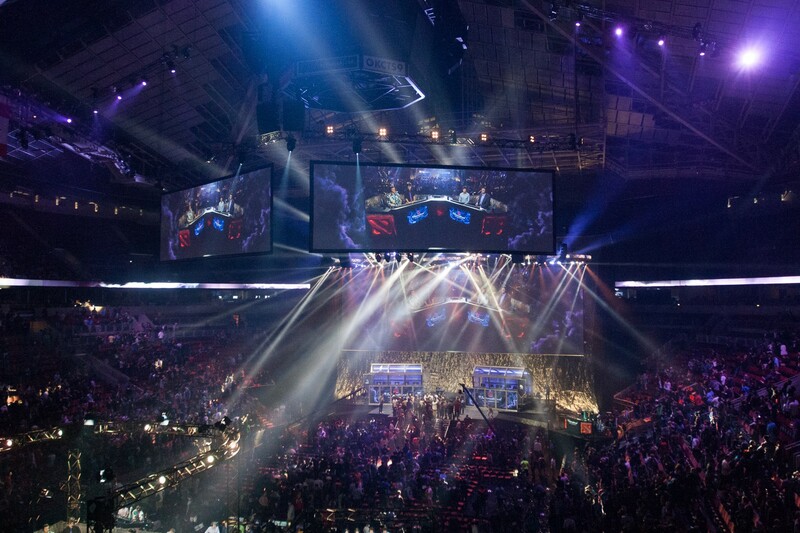 By all accounts, eSports are on the rise. According to DMR Business Statistics, the global market size had reached $1.8 billion by March 2017, and an estimated 157 million millennials numbered among the regular viewers of the sport. The projected year-on-year increase in eSports revenue was reported by the same source to be 41.3% in 2017. And yet, particularly among the generations that preceded the millennials, it remains little known, and often poorly understood. But then a series of favorable changes in Ivanov’s life opened his parents’ eyes to the potential of a career in eSports. “I started to travel all over the world, I moved to Moscow, and I even started helping them out financially with my earnings, so they started to see it as a good idea,” he said. The room where Monolith’s players spend many of their waking hours. Photo: Skoltech. Polivanov had a similar experience with his parents. “My parents used to always say things to me like, ‘Come on – grow up! Think about what you’re going to do with your life!’ Now they see that it’s a serious profession, and that even if my career in gaming ends, I can become a coach or manager. The industry’s growing and there are a lot of paths I can take,” he said. Both players noted that while their parents may have struggled to accept the profession, they currently have no such problem with their peers. Asked what he was most excited about when it came to the eSports academy, Zak was quick to point to its research potential. “We have this team that’s capable of performing well at high-level international competitions. But it’s not only their gaming skills that we’re interested in. As they play, we can test devices and hardware that our research team is constructing, while also analyzing the effects of playing on the players’ brain function,” he said. Asked what research projects they’ve launched in particular, Yumashev explained that the primary focus is on brain function analytics conjoined with player data. “The fact that the players focus so intently throughout the gaming process is particularly interesting. This will provide us with clear EEG [ed: electroencephalogram] data, that we ultimately plan to utilize in our research about innovative means of gaming,” he said. A Monolith player in action. Photo: Skoltech.